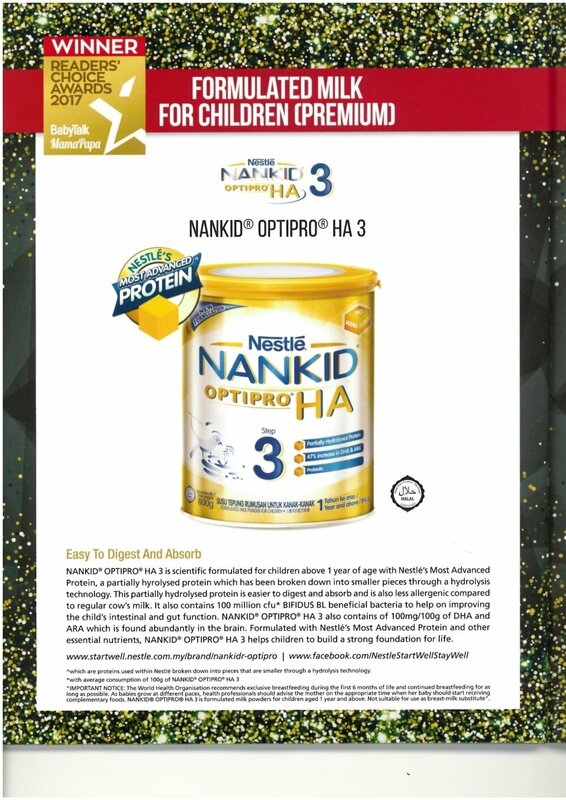 NAN H.A.® 3 is a follow-up formula. Recommended for infants likely to be at risk of developing an allergy (e.g. another member of the family is allergic). The taste of the milk may be slightly different due to the hydrolysis process. However, this taste is easily accepted by babies and young children. Added with long chain polyunsaturated fatty acids - Docosahexaenoic Acid (DHA) and Arachidonic Acid (ARA).